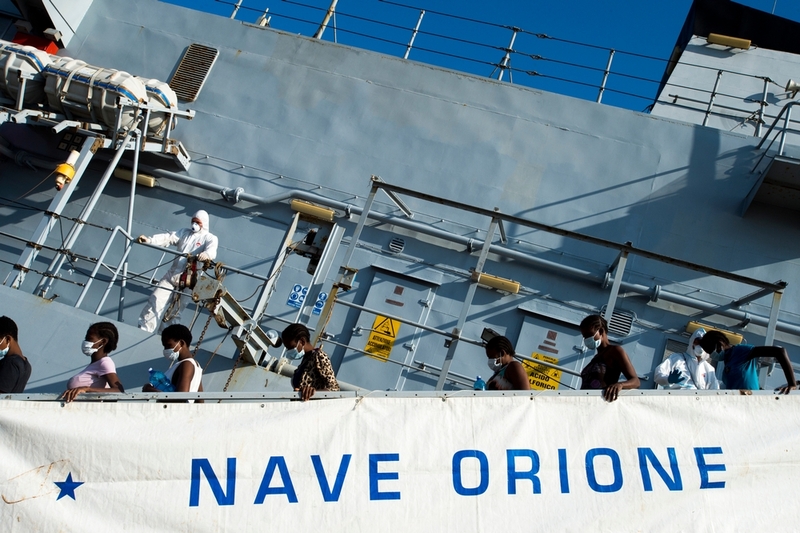 Médecins Sans Frontières/ Doctors Without Borders (MSF) has just announced that it will launch a search and rescue operations in the Mediterranean Sea. by Aurélie Ponthieu, MSF Humanitarian Adviser on Displacement. 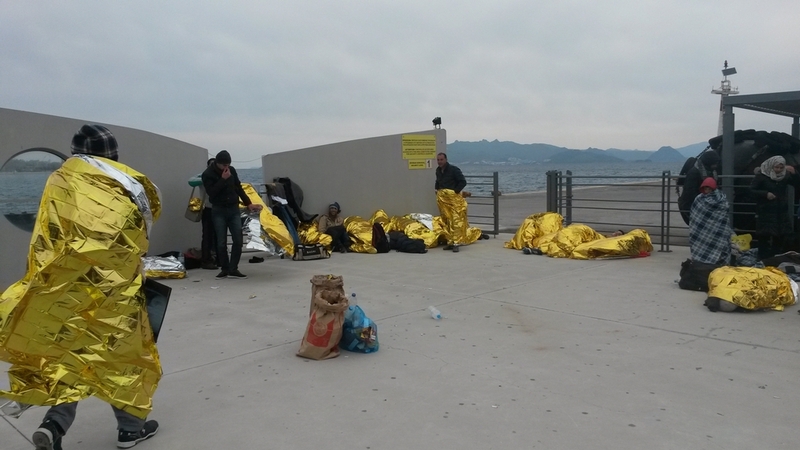 The move has been deemed controversial by some media, since rescue-at-sea lies outside MSF’s usual business. The decision has been taken because the humanitarian crisis on the Mediterranean is worsening every year, but the European Union shows no willingness to change the very policies that have led to this crisis. Saving lives is our core business, whether it is on land or at sea. In the last 15 years, the Mediterranean Sea has transformed into a graveyard for more than 20,000 migrants and refugees searching for protection and a better life in Europe. At least 3500 people drowned close to European shores in 2014, many of them from Syria, Eritrea or sub-Saharan Africa. Already this year, 500 people have lost their lives at sea, and that’s before the summer period when the majority of people attempt the dangerous crossing. Four people died after a boat carrying one hundred people sank on route to Italy. An Italian boat arrived in time to rescue the people but only one body was retrieved from the sea. Boat migration is a complex phenomenon, influenced by geopolitical and socio-economic factors –conflicts, extreme poverty, mass human rights violations, and also by the failure of the refugee protection system combined with people being stuck in substandard camps indefinitely. At least half the people boarding these unseaworthy boats to Europe are fleeing conflict zones and will be granted asylum once in Europe. The number of recorded entries by sea reached 218,000 in 2014, up from 60,000 the previous year. With the Syrian war raging unabated and growing instability in Libya, the number of people who will take to the sea this year is expected to be yet again unprecedented. As safe channels to reach Europe continue to grow scarcer, there is little other option offered to refugees than taking to the sea. Migrants and refugees from Africa land in Italy, a few hours after being rescued from the sea. The mass displacement of people from Syria will be remembered as the largest in recent history. But Europe will be remembered for how little it did to assist the now 3.8 million Syrian refugees. Ninety-five percent of the refugees are registered in Syria’s neighbouring countries – in camps and urban centres in Jordan, Turkey, Lebanon and Iraq – stretching local and international assistance capacities to the limit. Rather than easing this burden, European states are encouraging these countries to absorb even more refugees, and building walls to keep people out of Europe. Just four percent of Syrian refugees have managed to be resettled in the EU. So far, European countries have set a measly quota of 36,300 Syrian refugees to resettle. Germany offers the vast majority of places – 30,000 – while the UK embarrassingly accepted just 143 Syrian refugees in 2014. The public outcry provoked by the October 2013 shipwrecks off the coast of Lampedusa, Italy, has long since faded. 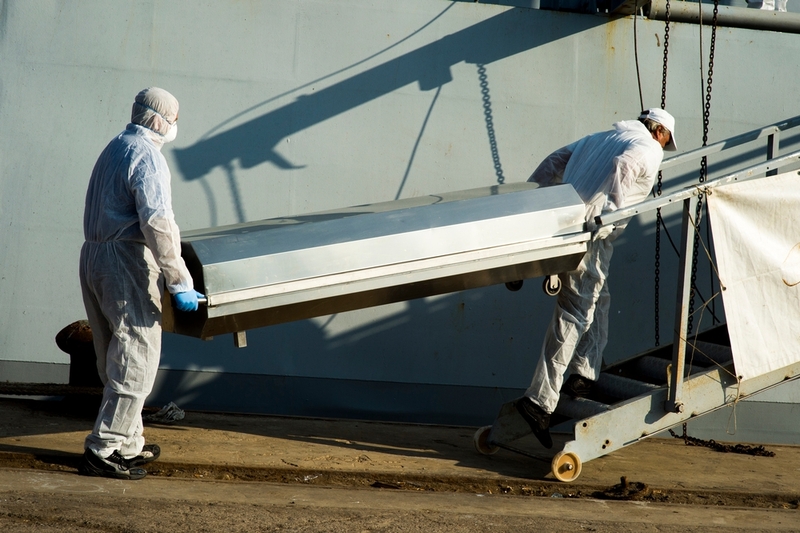 While refugee organisations and asylum experts discuss the best ways to prevent deaths at sea by opening safe and legal channels, EU member states are looking elsewhere. Obsessed with the fear of ‘pull factors’, these states are interested not in saving lives, but in keeping people out of sight. At the beginning of March, the European Commission announced the start of the Joint Operational Team MARE. This is not a replica of the Italian navy’s Mare Nostrum operation, which was intended to rescue people in distress at sea. Instead it is a maritime intelligence centre aimed at fighting people-smuggling at sea; this same people-smuggling that is flourishing because the EU has closed its land borders. Today, the energy and the resources are focused on ‘cutting the flow’. But, cutting the flow – without offering other options for people to seek refuge – only results in further suffering and death. 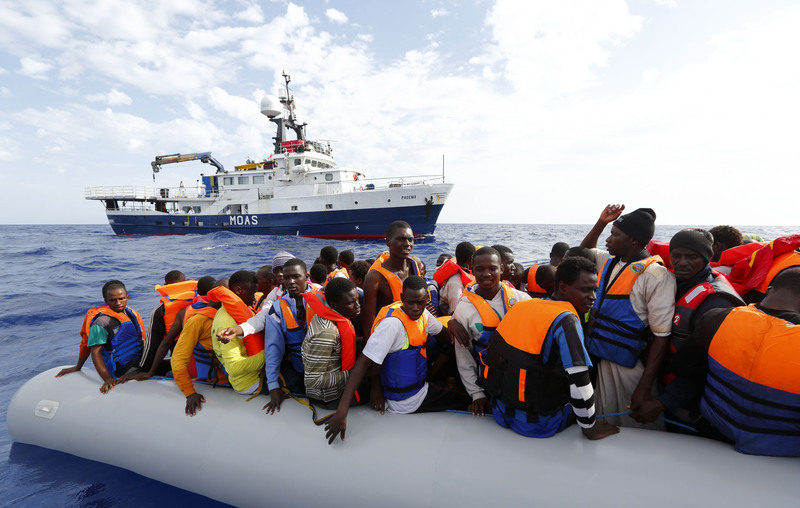 In line with this trend, the Italian government has proposed to increase the rescue-at-sea capacities of countries like Tunisia and Egypt, so that those people rescued can be taken back to north African shores rather than be brought to Europe. Our patients in Sicily tell our teams terrible stories about the abuse they have suffered at the hands of smugglers, but also of being treated badly in transit countries such as Egypt and Libya. Syrian and Palestinian refugees who try to take a boat from Egypt to Europe are arrested and detained in substandard conditions. Human rights groups have denounced cases of refoulement by Egyptian authorities, as these detainees are forced to buy plane tickets to other countries, including even back to Syria. It is also widely believed that in some instances the corruption of state authorities actually allows for smuggling networks to exist. The measures put in place to stop the boats ignore the most basic point of the so-called ‘migration crisis’: people in need of protection have no choice but to flee. 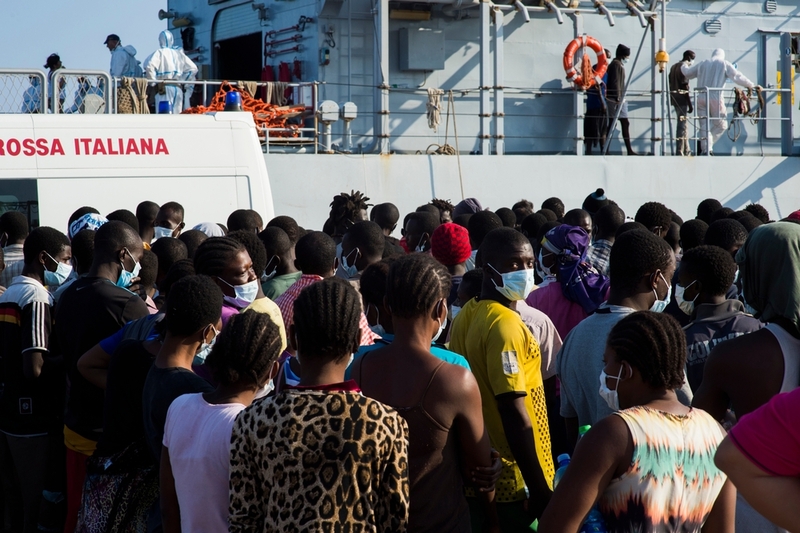 At least ten percent of the patients seen by MSF medical staff in our project in Sicily have been victims of violence in their country of origin or along their route. Migrants, asylum seekers and refugees mainly from Eritrea and Gambia land a few hours after being rescued from the sea. If the dangerous sea route is now the main entry door to the EU for refugees, it is because all the land borders are closed. At the end of 2013, Bulgaria began building a €9.6 million fence designed to keep Syrian refugees out. While the conflict in Syria escalated, the number of entries in Bulgaria dropped from 3626 in October 2013 to just a few hundred in January 2014 after the launch of this border operation. Even Europe’s border control agency FRONTEX admits that this operation has simply diverted the flow of refugees to the sea. Greece already sealed its own land border with Turkey in 2012, diverting most of the refugee flow to its maritime entry points. The number of arrivals by sea since January 2015 increased by 145% in the Greek islands compared to the same period last year. Reception conditions on these islands are deplorable and MSF teams working in the Dodecanese islands have repeatedly denounced the Greek government’s unwillingness to ensure even basic assistance to refugees. Next month the European Commission will present its new agenda on migration. Whether this agenda reflects the lessons learnt over the last years remains to be seen. Focusing on keeping people out and ignoring the human lives that make up these ‘flows’, has achieved only one thing: the suffering and death of thousands. Let’s be clear: this is a policy-made humanitarian disaster. Concrete measures must be immediately taken to ensure refugees’ safe access to EU territories, non-refoulement and minimum standards in reception facilities. Adapted and ambitious search and rescue at sea mechanisms must be put in place by EU Member States to save the hundreds of thousands men, women and children who will risk their lives this year to reach safety and protection. With the large number of refugees and migrants arriving on the island of Kos in Greece, a temporary tent was set up for the first time by the Greek authorities to cope with the needs of the new arrivals. Since 2002, our teams in Lampedusa and Sicily have been caring for survivors – treating dehydration, hypothermia and trauma linked to the sea journey. But they have not been able to prevent deaths. This is untenable for a humanitarian organisation such as MSF. Even if rescue-at-sea is not the solution to boat migration, it is certainly urgently needed so that people do not die while they wait for more humane policies to be adopted. Until these policies are in place, the way in which European leaders treat refugees will continue to demonstrate their double standard of not practicing the human rights at home they so willingly preach abroad.